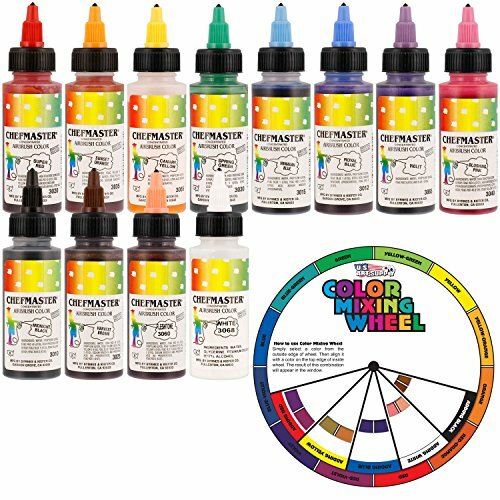 Save 1% on the US Cake Supply by Chefmaster Airbrush Cake Color Set - The 12 Most Popular Colors in 2.0 fl. oz. Bottles with Color Mixing Wheel by U.S. Cake Supply at Your Daily Food Choices. MPN: 14186219. Hurry! Limited time offer. Offer valid only while supplies last.